Thanks to the input from local cycling clubs we were able to host a number of Meet & Greet rides around the South East. Rides were held in different areas and took different formats. 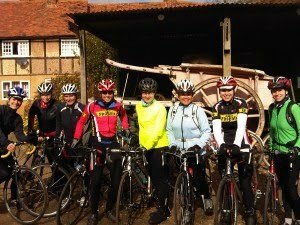 Some, like Kingston Wheelers, London Phoenix and London Dynamo were stand-alone rides which had exclusively women present, while other rides were held as part of the club's regular clubrun, as was the case with the Addiscombe CC ride. 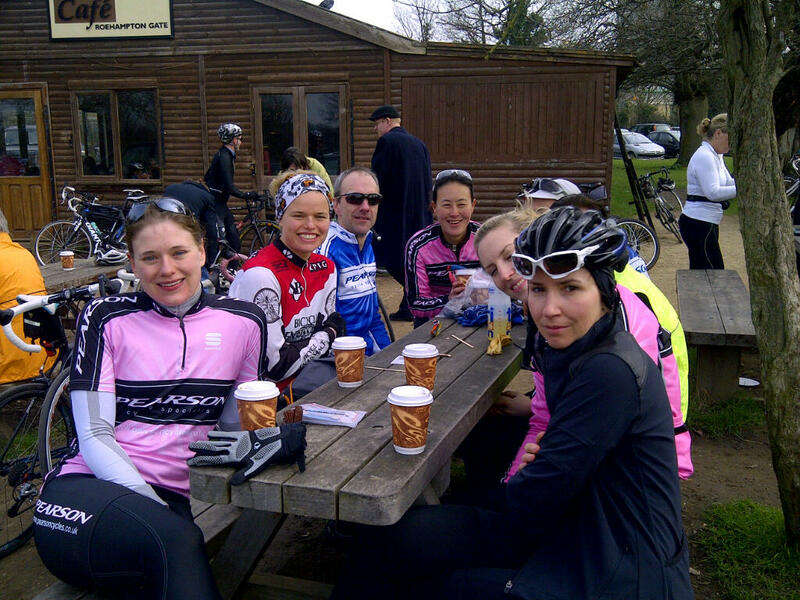 The Pearsons CC Meet & Greet event was not a ride but a training session in Richmond Park. The rides were of varying sizes, with some rides being small manageble groups, while other rides were larger and split into sub-groups. Routes were went to a variety of interesting places in Kent, Surrey, Hertfordshire and Berkshire. Whatever form the rides took, everyone enjoyed themselves and the goodies provided by our sponsors, MuleBar and Motion Junkies/Reflect Sports/Hoo Ha Ride Glide were well received! There were a number of women who were new to group riding and have since decided to join one of the hosting clubs too. So all in all, people got something out of the rides and we hope to build on these in the future, with more Meet & Greet events. We are grateful to the following clubs that hosted rides: Addiscombe CC, Dulwich Paragon, Kingston Wheelers, London Dynamo, London Phoenix, Pearson CC, Twickenham CC and South Western Road Club who have offered to host a ride later in the year. We would also like to thank MuleBar and Motion Junkies/Hoo Ha Ride Glide for sponsoring the rides. And now for some racing! Round 1 results are up!